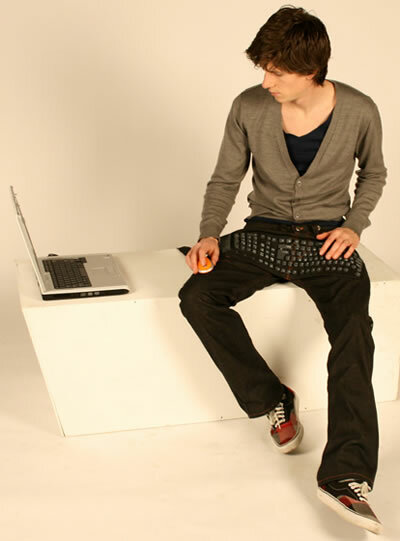 Keyboard Pants designed by Erik De Nijs are apparently designed for quick googling on the go. They also feature knee speakers and a back-pocket mouse. This is one of the goofier ideas I've seen. However, even goofball ideas have their genesis somewhere, and I think that Murray Leinster was as early as anyone with the idea of clothing with embedded electronics. From The geekiest pants... ever? (oh, yes, there are more pics) via The Raw Feed.